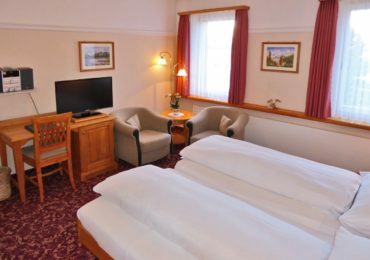 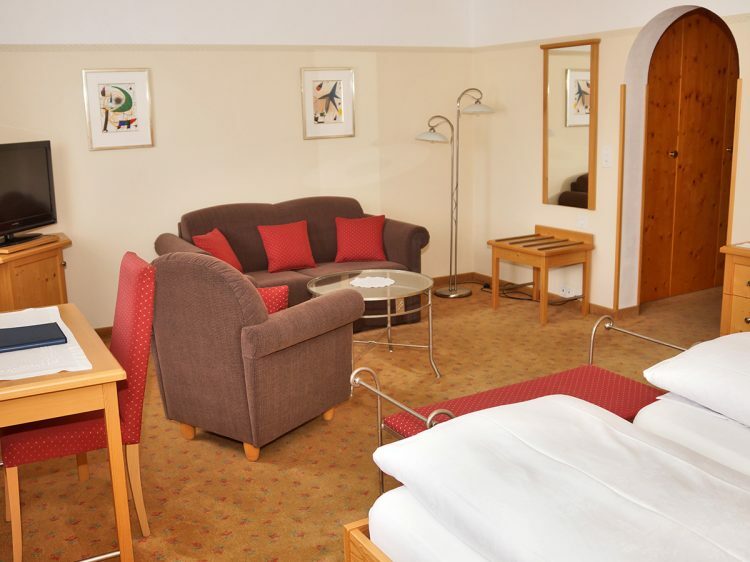 Our three Deluxe rooms offer two completely different styles. 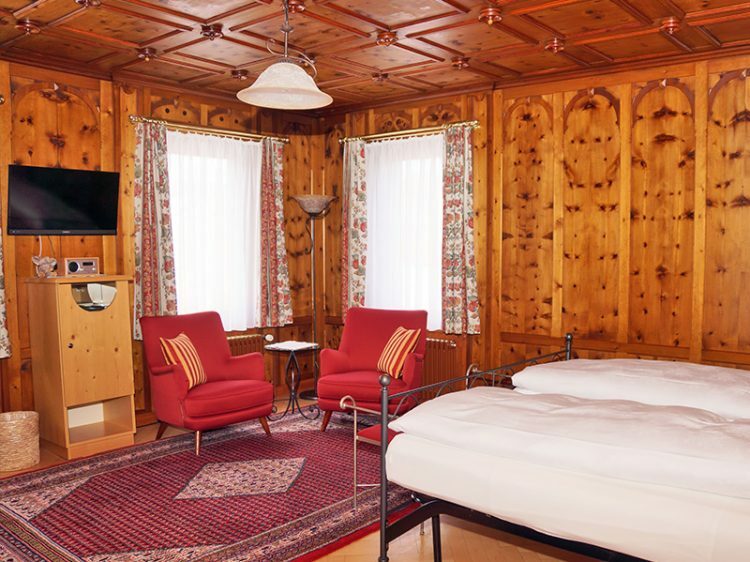 One room steeped in tradition, contains plenty of wood features and has a luxury bathroom with a bath and separate shower. 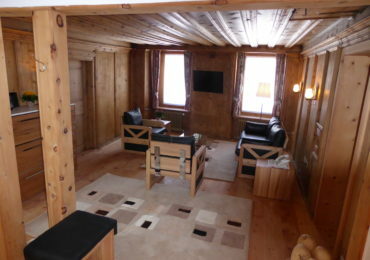 The other two rooms are contemporary and have large seating areas. 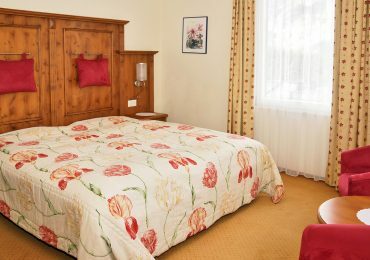 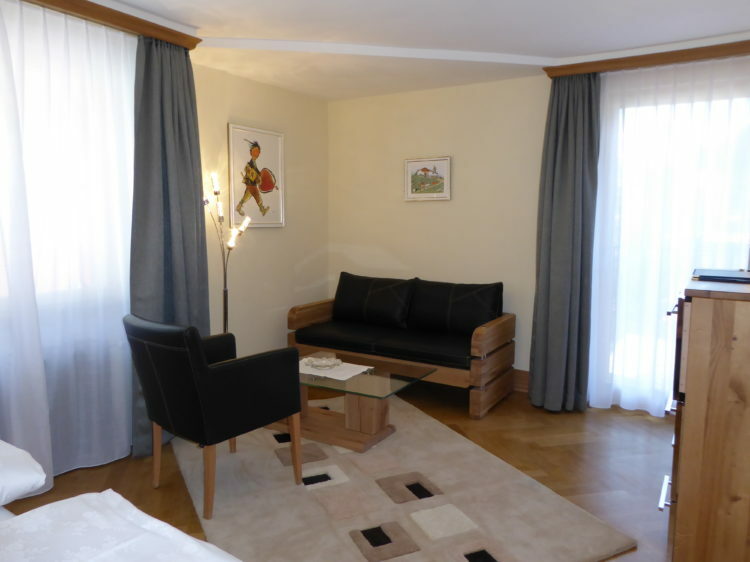 These rooms each have two windows and offer impressive views over Pontresina and the valley. 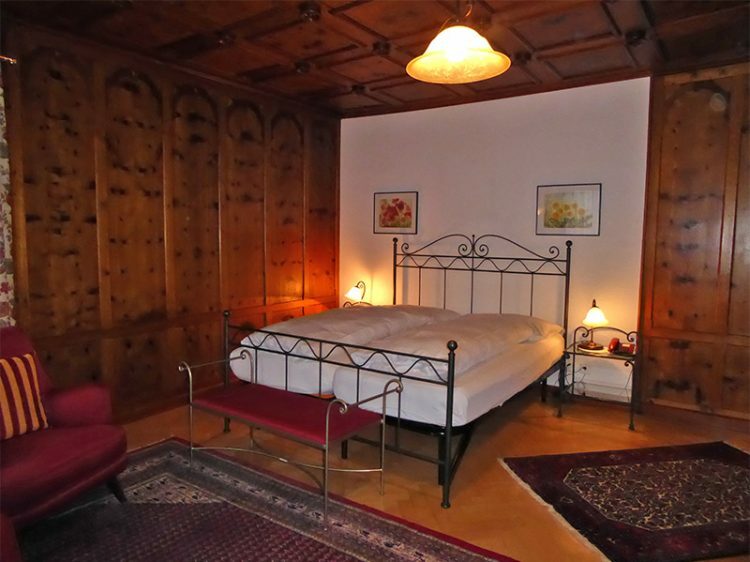 If you like wood, this room, steeped in tradition, is right for you. 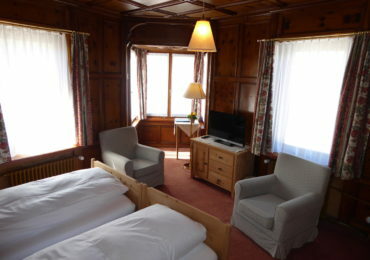 It has wood-panelled walls and ceiling and unique, solid 2cm parquet flooring. 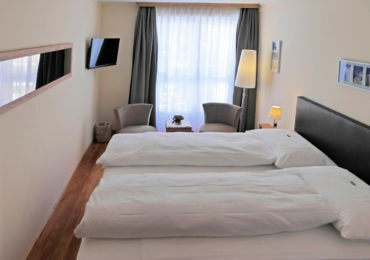 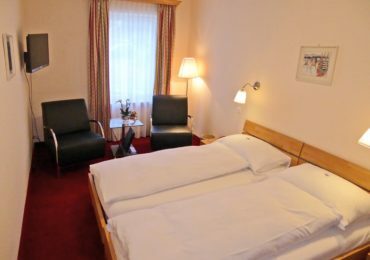 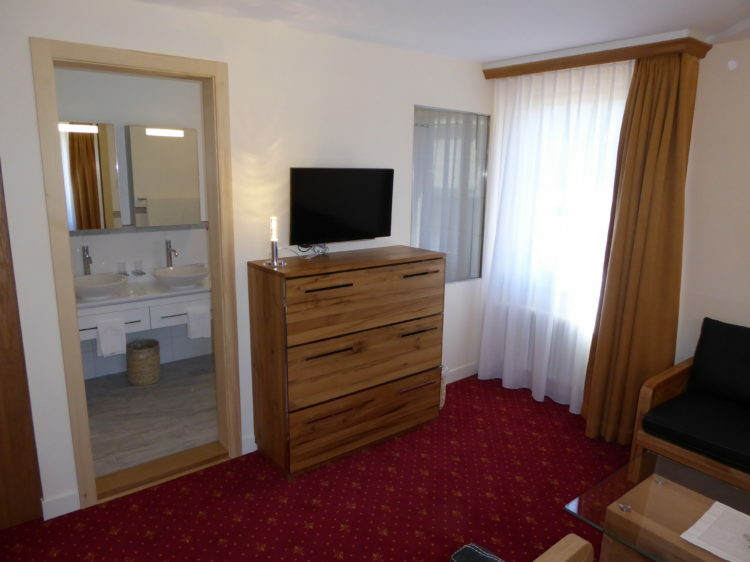 Room number 232, and also its luxury bathroom (with shower and bathroom looking out onto the mountains), was furnished with much love. 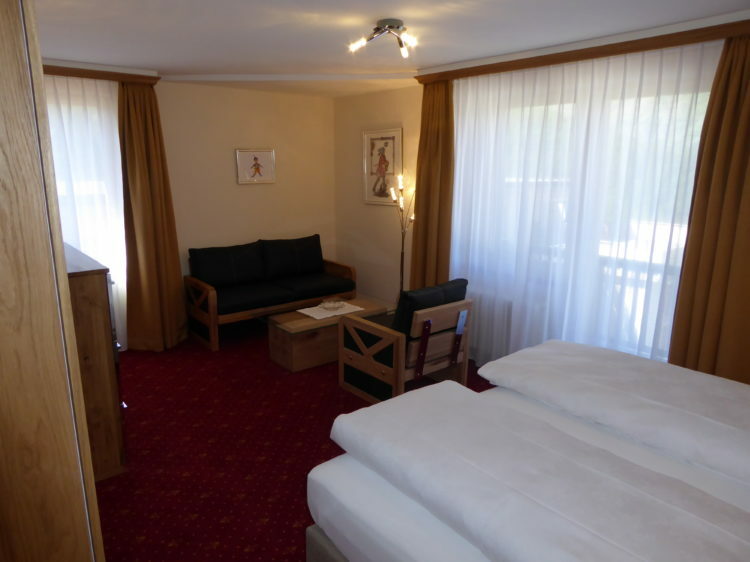 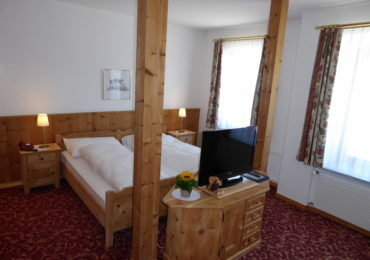 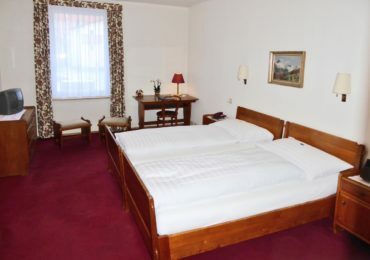 Both the other Deluxe rooms are nice bright rooms with views over the whole village. 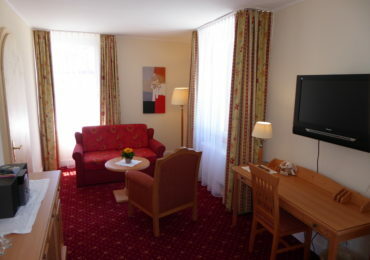 These rooms are somewhat bigger and have spacious seating areas. 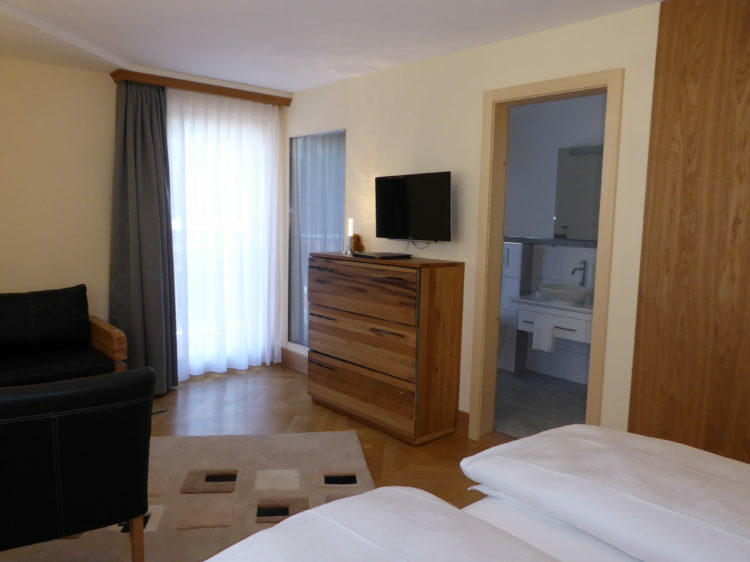 The bathrooms are equipped with a combined bath and shower.